Take a moment to relax. Find a nice, quiet room, and lay down in the dark. Close your eyes. Feel yourself drifting off to sleep… Suddenly, you see a figure off in the distance. The vision is hazy at first, but then he slowly rises into focus. You can see a ragged striped sweater on a tall lurching body. An old brown hat with a wide brim. A sharp ray of light flickers: he has blades coming from his sleeve, like every finger is a knife. Burnt, disfigured skin glistens in the moonlight. 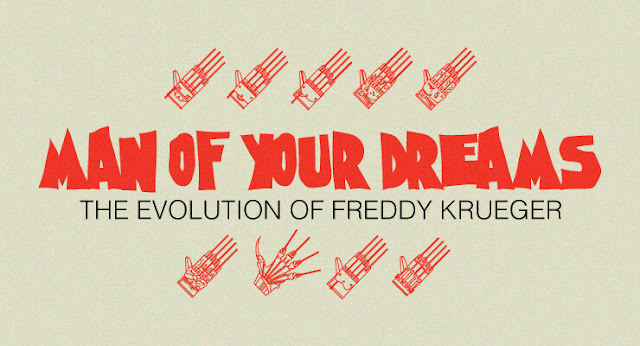 Finally, the man of your dreams fully appears in front of you: it’s Freddy Krueger! 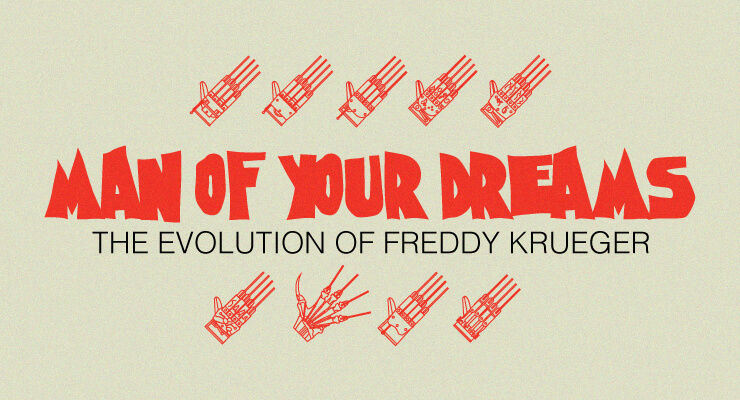 One of the most infamous movie villains of all time came into the pop culture lexicon in 1984’s A Nightmare on Elm Street and throughout the 9-film franchise, Krueger’s look changed bit-by-bit, burn-by-burn, and other such b-words that Freddy is well-known for spouting. HalloweenCostumes.com created this infographic showing the changes, as well as Krueger’s kill count per film and interesting facts about each movie. See for yourself below and also check out their awesome selection of Freddy Krueger costumes including an exclusive officially-licensed collector's mask, but whatever you do…don’t fall asleep.